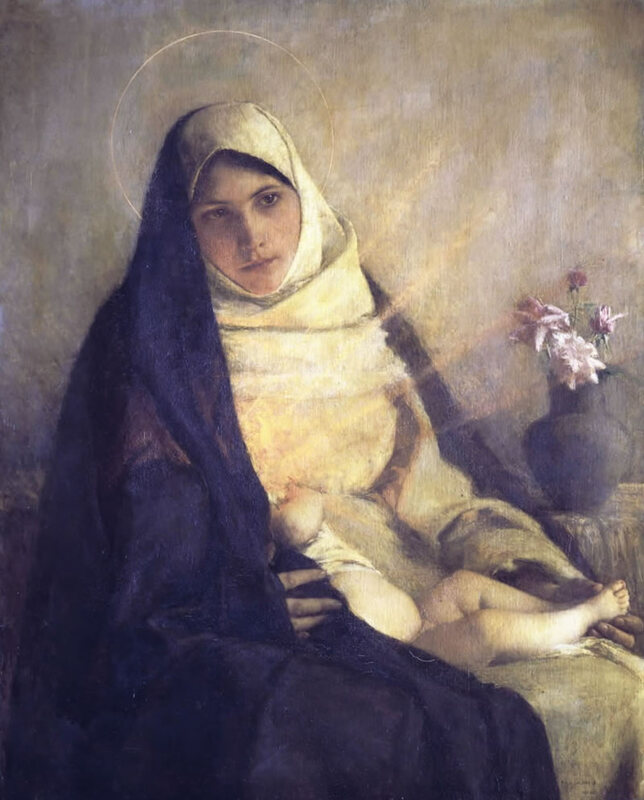 “Madonna Of The Rose”, by Pascal-Adolphe-Jean Dagnan-Bouveret, is a beautiful oil painting showing an ultra-realistic take on the traditional Madonna and child. Mary is very young and Middle Eastern, as you would expect. The baby Jesus is hidden behind a shawl, but his holiness emanates through, providing a dramatic and beautiful effect.